I'll bet that whenever you mention "leeks" and "soup" in the same breath, potato is also somewhere close behind. Today, I'm making it my mission to help you kick that habit and open your mind to the wonderful world of potato-free leek soups. 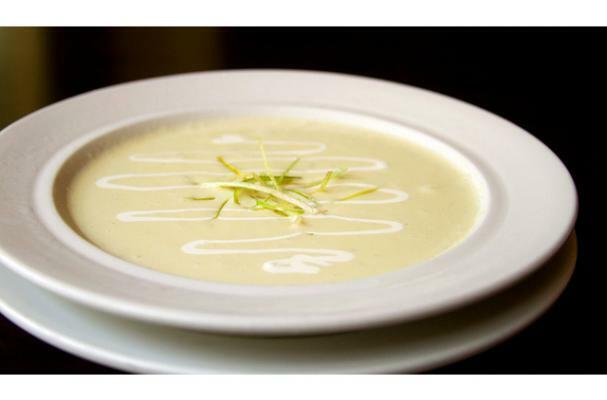 From clear broth-based soups to creamy concoctions, there's nothing to say that potatoes & leeks are mutually exclusive. Here are 3 of my favorite gluten free & vegan leek soup recipes, perfect for chilly weather and guaranteed to change your mind! Make no mistake, this easy and hearty soup is definitely ToMato Leek, not PoTato! Make sure to omit the barley and, optionally, double the rice! Vegan option: substitute veggie broth! This super simple soup is perfect for chilly autumn and winter weather! Easy, elegant and great for entertaining. This 5 ingredient soup is a must-try - 100% healthy and so delicious you'll wish you had made a double batch! Vegan option: substitute veggie broth!